The Pelican nourishes his children with the blood of his heart. He still lives at the shore of the big quieted sea of Samsara. The ancient legend of the pelican was adopted into Christianity by the 2nd century, when it appears in the Physiologus, a Christian adaptation of popular animal legends and symbols. 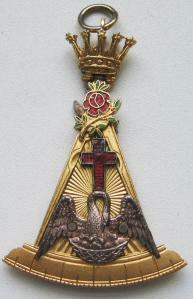 Later it became a symbol of esoteric freemasonary as of the "18° Knight of the Rose Croix" Scottish Rite. 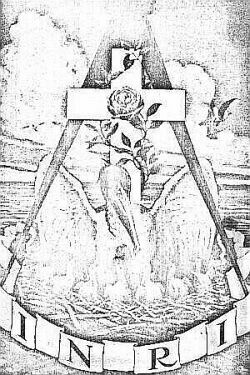 Other pictures show a single pelican who just stands beside a vessel in which the circulatio takes place(circular distillation).